The Seated dimes value has a starting point of $11 to $12 for a well circulated coin. That is a nice beginning, but it is just the beginning. There are many rare dates scattered throughout this series. Find an 1879 in your group or an 1881 and the minimum value is $200. Additionally, dealers and collectors pay even more for better condition coins. The Uncirculated Liberty Seated dime pictured is an example of a very desirable coin. Although a common date, it is in a high state of preservation and demands a high value. Rare dates, and high condition both contribute to greater value. See how you can determine the condition of your coins by comparing them to the grading images below. But first the coin value chart. The following chart shows the wide range of dime values. From one date or mintmark to the next and especially from one grade to the next. Examine your coins closely. The above are wholesale coin values. Computed from dealer's price lists with various mark-up factors figured in. They reflect closely the value you would expect to receive when selling. Variations in value do occur subject to subtle grading points, collector demands and dealer needs. 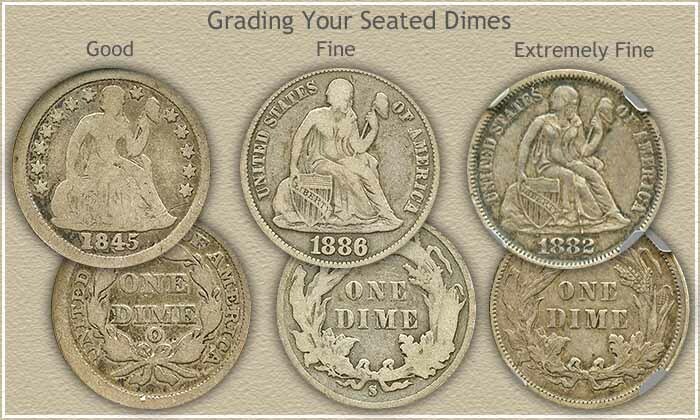 The chart covers a sampling of the most common Seated Dime varieties. For additional reference... NumisMedia publishes an extensive fair market value price guide, covering the retail Bust Dime Value in detail. Often a Seated Dimes value increases dramatically when found in very nice condition. True, dealers and collectors are all searching for rare dates but they also keep an eye on the condition. You stand a better chance of finding a high "Grade" coin than a rare date. Compare your coins to the grading image below and find the closest match. Focus your attention on the shield. The word LIBERTY with all the letters visible, places the coin in "Fine" condition. Less than the entire letters in LIBERTY showing and your dime drops into "Good" condition and a lower value. All the details of your coin crisp and sharp? A Seated Dimes value in Extremely Fine or better condition often reaches one hundred dollars or more in value. In these upper grades they become highly desirable and trade actively. Collectors and dealers consider PCGS and NGC as leaders in coin grading services. They both authenticate and grade your coin. The small fee you pay provides assurance you understand and receive the full value of your coin. As you evaluate your coins it is helpful to know grading a coin is not an exact science. It is your opinion, dealers and collectors have their own opinions... and they can all differ slightly. Check a few rare coin dealers listings, look for those offering dimes similar to yours for sale, their listings and prices usually include a notation of the NGC or PCGS assigned grade. Additionally... these coin dealers are potential buyers of your coins. 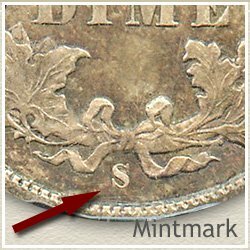 Mint marks are the perfect example of a dimes value demonstrating an extreme range. Discover an 1857-O in your box and it is a coin that would thrill any collector, starting price in Fine condition is $18. 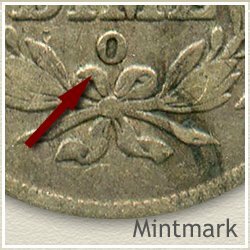 Mintmarks are found within the wreath on the reverse on dimes dated 1837-1860. Seated dimes minted 1860-1891 mintmarks are located just below the wreath. "Condition rarity" defines another reason for the wide range of a Seated Dimes value depending on its condition. Very subtle and small details in the preservation and wear influence the value. The 1888-S is a $11 coin in Good condition, however, not often encountered in Extremely Fine condition, it becomes a prized issue and valued over $28. Numerous other examples exist. Scan the coin values chart completely. These dimes are a classic series. High quality coins are always in demand by dealers and collectors. The lower grades, still attractive despite some wear, are affordable and collectible. Stay current with your Seated Dimes value, check back when curious or before you sell. Discover how much your old dimes are worth. Bust, Seated Liberty, to Liberty Head, Mercury, Roosevelt Dimes. 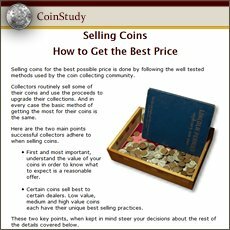 Compare your coins to the grading images and value charts. Do you have other old coins and more denominations? Coin Values Discovery... finds Liberty Seated Dimes Value and... All old US coin values. It is an excellent index with images and text links to all coin series, from Cents to Gold. Value charts, grading images and descriptions uncover how much your box of old coins is worth. Perhaps consider your group of coins as the beginning of a coin collection, the start of an enjoyable and rewarding hobby. Even if you don't become a collector, one successful approach is to sell all your coins and buy one nice rare coin. The one you were hoping to find in the box. Pass the thrill of a "rare" coin on to your children.